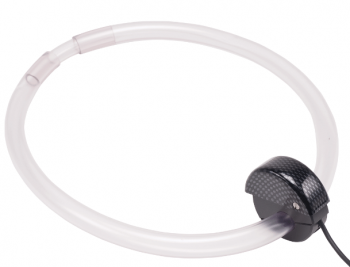 Chin switch can be positioned anywhere around the neck with plastic tubing that can be cut to fit. Moving your head down on the 0.8 x 2.8-in/2 x 7-cm surface with 1.6-3.8-oz/46-107-g of force will activate the switch. Provides auditory click and tactile feedback.